More flexibility. More capability. More reliability. 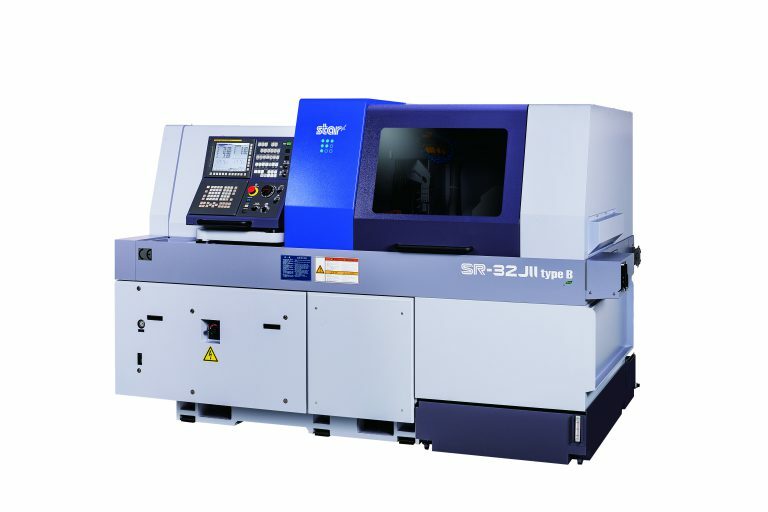 Star CNC offers a broad range of Swiss-type Automatic Lathes to meet all your small, complex and precise metal components machining requirements. Customer benefits include fast job processing, high process reliability, simple and logical operation, energy-efficiency and low non-productive time. The new modular design increases the machine flexibility and offers higher rigidity, increased productivity and higher accuracy. A slant-type slide guideway on the Y-axis is standard on all models and the highly rigid spindle sleeve guide system is used to further increase rigidity (in N.G.B mode). The main and sub spindles now have a built-in structure to enhance spindle indexing accuracy. The back working tool post now features increased pitch for 32mm O.D. turning without interference with the other tool stations. 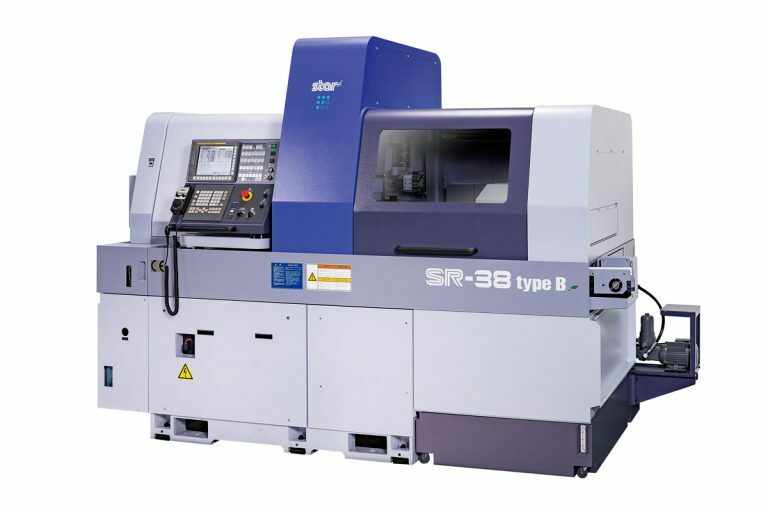 The SR-38B, 10-axis Swiss-type automatic lathe is the latest addition to the Star CNC product line and sets a new standard for machining complex, large diameter parts with high operation efficiency. Rigid machine construction is designed to handle bar stock up to 1-1/2” (1.500) diameter. With B-axis versatility, complex parts can be produced in one operation with the precision and accuracy required by quality critical applications in a variety of industries. Star’s proprietary motion control system further optimizes machining operations and significantly reduces idle machine time. 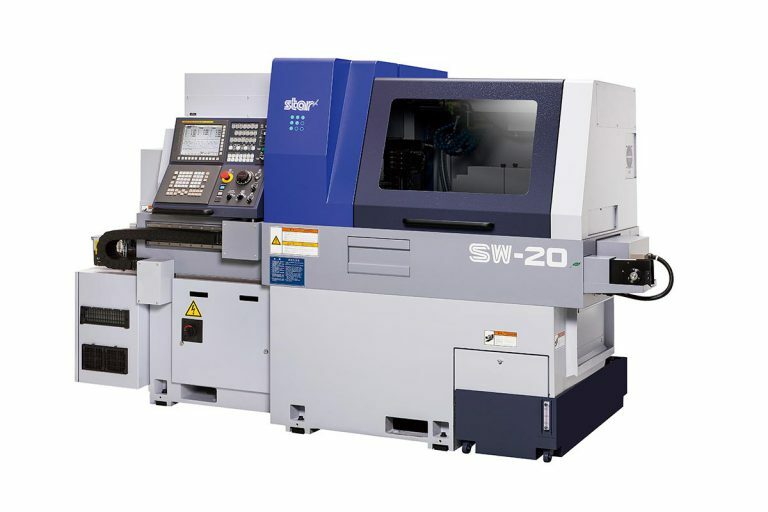 Star CNC Machine Tool Corp. continues its decades-long tradition of innovation with the SW-20 Swiss-type Automatic Lathe. This popular machine has been equipped with cutting-edge software that enables complex components such as bone screws, as well the implant and surgical instruments used in conjunction with these types of surgeries, to be manufactured with exceptionally high speed, precision and quality. The evolutionary Model SW-20 has transformed the complex machining productivity with mechanical and control systems designed to minimize non-cutting time. The end result is significantly improved production output and greater profitability. The ST-20 is the latest model in the ST-Series that is equipped with the highest specifications and functions aimed at high productivity. The machine is equipped with three turrets which allows for ultra-high speed flexible machining of complicated components. 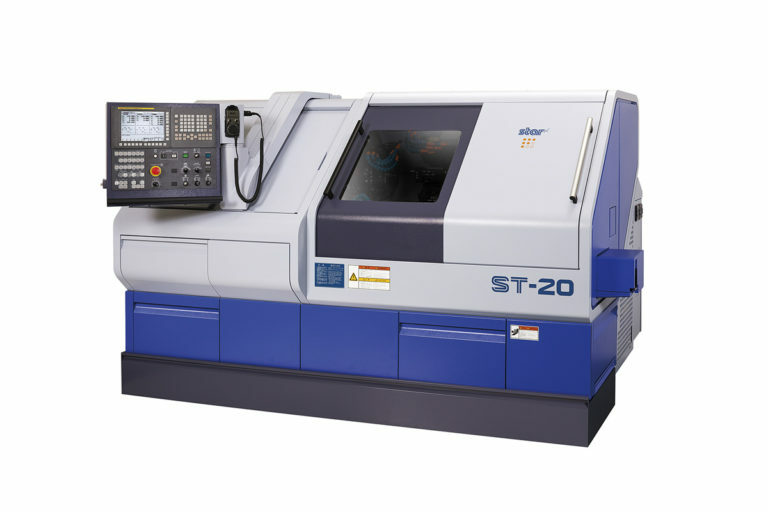 The ST-20 offers simultaneous machining such as turning & milling which drastically reduces machining time. Both the main and sub spindles are capable of the same level of machining, which will enable complex parts to be machined with incredibly short cycle times and to a high standard of quality.